Few brands can look back over a quarter-century and find a treasure trove of memorable advertising. To celebrate this amazing history, we helped GEICO do something no advertiser had done before. They re-aired 10 of their classic commercials spanning 20+ years. And ran them for 3 months straight at full media blast. But wait, there’s more! We wanted fans to participate so we created a whole infomercial campaign…about the campaign. 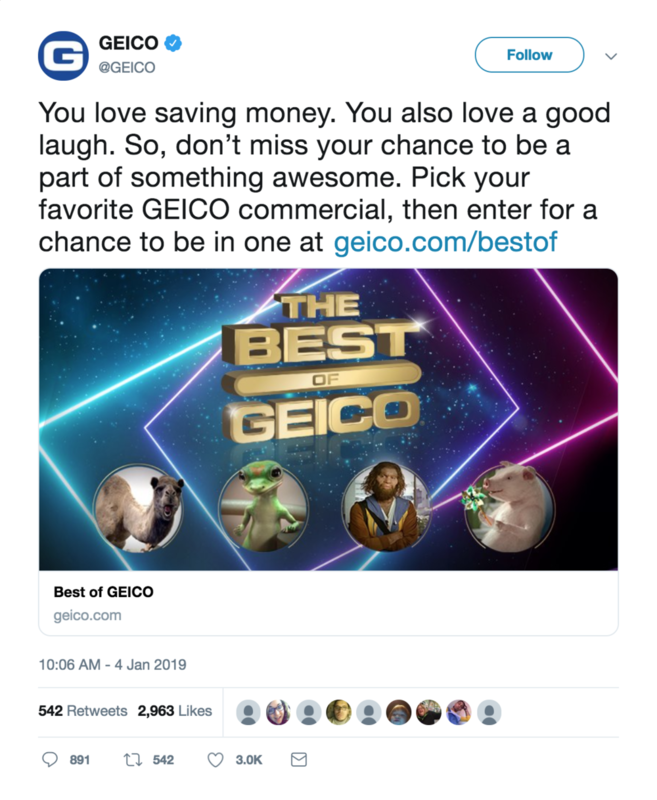 The promo work encouraged fans to vote online for their favorite GEICO ad. You could even enter for a chance to appear in an upcoming GEICO commercial. Stay tuned for the final chapter, coming to a screen near you this summer!